As you know most of the country has experienced a terribly cold winter for many days in a row. This is also the time of year when mama animals are also having their babies. When a baby animal is born it has come from a warm place and is wet, and it is up to the mama to get it dry and warm. The circulatory system of newborn babies is new, so blood flow to all of the extremities is still limited. Blood flow to the ends of ears and tails in new born babies may take up to five days to be at full circulation. With that being said, it is not uncommon for a baby animal too lose the tips of their ears or tips of their tails to frostbite. Today I have a treat for you! 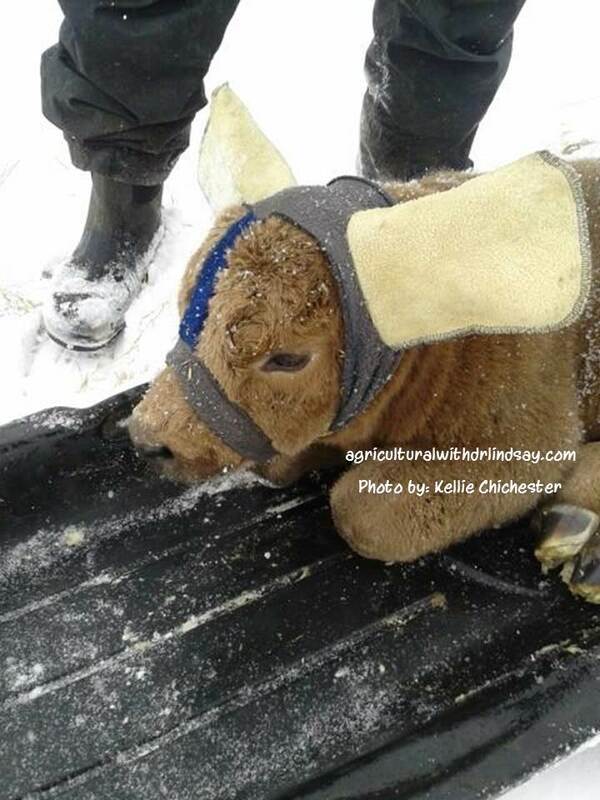 My sister, Kellie Chichester, uses calf ear muffs. These are put on the calves when they are first born and they will keep them on for a couple of days, or until either the blood flow gets good and circulating or until the cold temperatures break. This is especially important for calves that will be marketed through a niche system and will need to be aesthetically pleasing. This pair was bought, but you could make your own if this interests you! 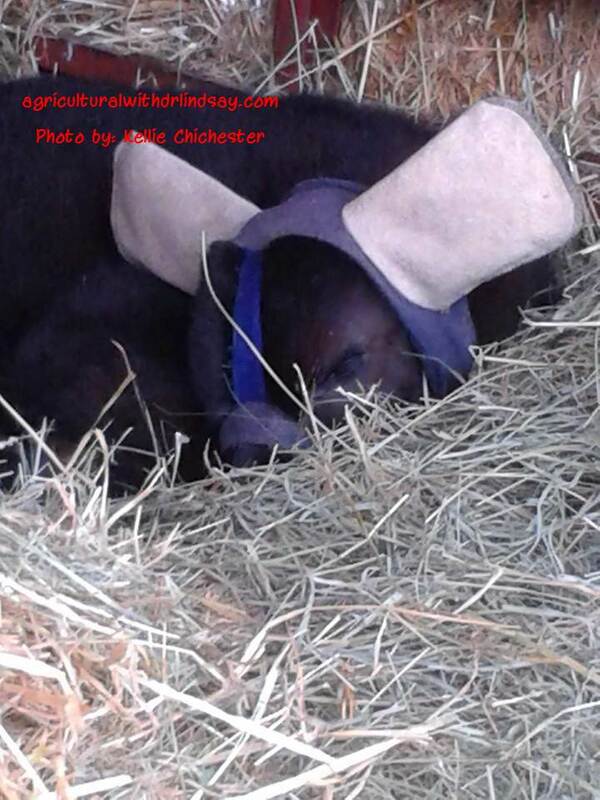 A sleeping calf with ear muffs. 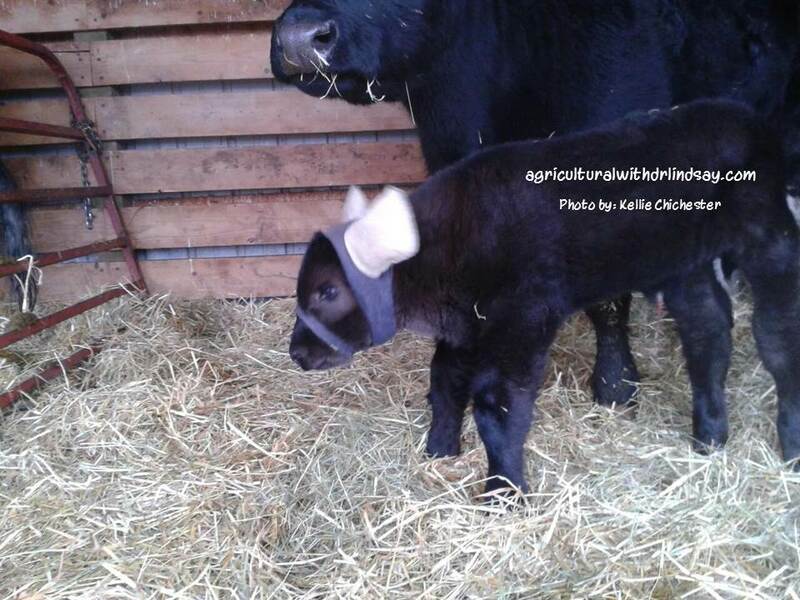 A calf enjoying the ear muffs! While these ear muffs certainly keep the ears warm and in-tact they are generally not used by the majority of livestock producers. Most calves are born in pastures or pens where they may not have much human contact or it is not feasible for all calves to be wearing these. 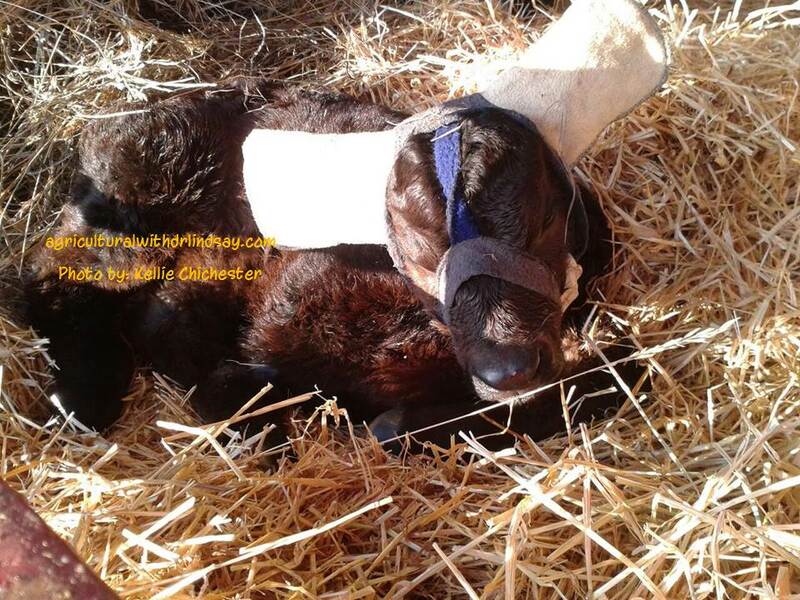 Plus we hope that the days will start getting warmer, and ear muffs won’t be needed – by animal or human!! What have you done to make these cold temperatures a little more comfortable?